OPI's I Lily Love You is definitely one of my new favourites. It's packed full of multi coloured glitter and multi coloured flakies. It looks pretty layered over lighter colour but looks amazing over darks. Here I have it on top of OPI's Lincoln Park After Dark. Eee, this is so, so pretty! Stunning, very eye catching nails. 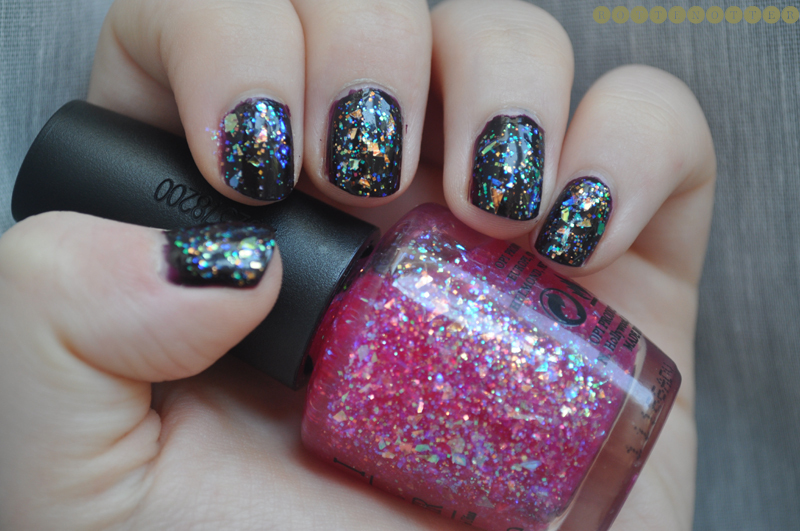 I am definitely adding this polish to my list of polishes i need. Oh my goodness, this is actually stunning, so pretty! OMG! My name's Lily! I think I need this in my life!